DeTect is the global leader in Radar Wind Profiler technologies with a full range of modern, state-of-the-art wind profiler products that includes the world's only network class Doppler radar wind profiler system. DeTect’s Meteorological Systems Group in Longmont, Colorado USA provides a broad range of experience in design, development, testing, installation, operation, maintenance, data analysis and support on operational and research wind profiler systems worldwide. This experience includes development and application of advanced signal processing techniques for wind profilers for government, aviation, aerospace and industrial clients. 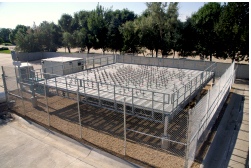 Relevant experience also includes manufacture and installation of traditional coaxial-collinear (COCO) antennas for 50, 404, 449, and 482 MHz radar wind profilers and modernization of these older systems. 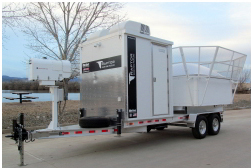 DeTect also manufactures and supports the RAPTOR line that includes mesospheric, tropospheric and stratospheric systems and smaller boundary layer systems in a wide range of frequencies that includes trailered, mobile systems. RAPTOR technology can also be added as an upgrade to most OEM systems, including the LAP®-3000.